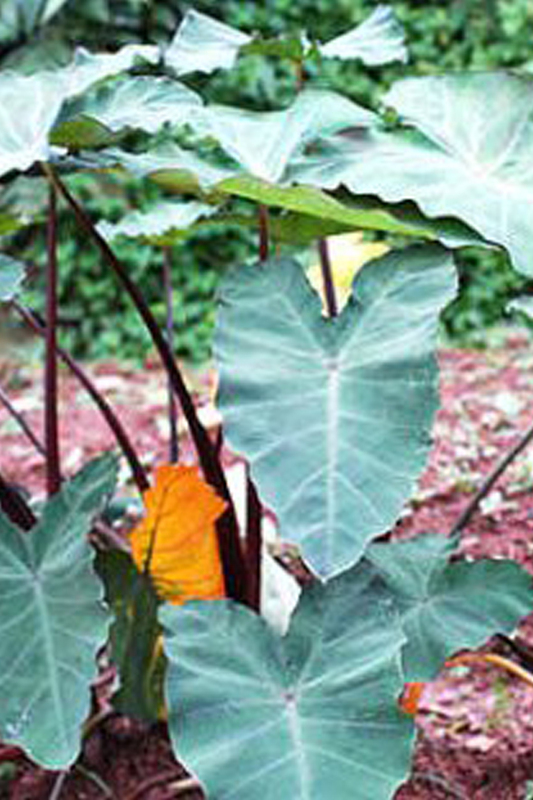 Colocasia esculenta "Fontanesii" Black Stem Taro" is an elephant's ear cultivar which has unusual purplish-black leaves. The mature tubers produces plants that can grow from 3 to 6 feet tall. The huge foliage is almost heart shaped. Produces flowers with cream yellow spathe. Very adaptable and they withstand snow and frost and the tubers go dormant.